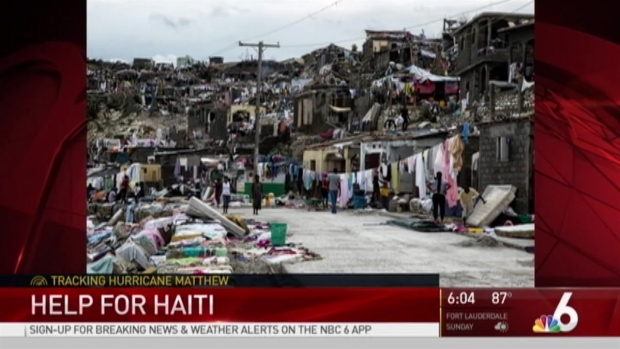 People across southwest Haiti were digging through the wreckage of their homes Friday, salvaging what they could from a deadly and devastating encounter with the full force of Hurricane Matthew. At the same time, President Obama is calling on Americans to help residents of the country that has been severely damaged by a catastrophe for the second time in six years. "Even the smallest contribution can really make a big difference," President Obama said. Following an update with officials from FEMA and other agencies regarding the storm, Obama called on people to donate to organizations such as the American Red Cross in an effort to help. A complete list of agencies you can donate to can be found at WhiteHouse.gov. With the death toll rising, a South Florida neighborhood is doing what they can to relieve some of their devastation. The central government's official death toll stands over 300, with authorities doing the on-ground assessment in remote corners of the southwestern peninsula saying it will be significantly higher when the full accounting was complete. According to some reports, the Hurricane has killed more than 800 people. Saint-Victor Jeune, an official with the Civil Protection agency working in Beaumont, in the mountains on the outskirts of hard-hit Jeremie, said his team found 82 bodies that had not been recorded by authorities in the capital because of spotty communications. Most appeared to have died from falling debris from the winds that tore through the area at 145 mph on Tuesday. "We don't have any contact with Port-au-Prince yet and there are places we still haven't reached,'' Jeune said, as he and a team of Civil Protection agents in orange vests combed through the area. As Haitians mourned their losses, they tried to recover what they could of their meager possessions. Homes throughout the area were piles of rubble, the roofs mangled or stripped away. Telemaque Dieuseal, 54-year-old farmer, fled his small house to stay with a cousin but returned to find that his TV, motorcycle and radio were nowhere to be found among the wreckage. Relief efforts are underway in South Florida and across the country to help the people of Haiti following Hurricane Matthew. 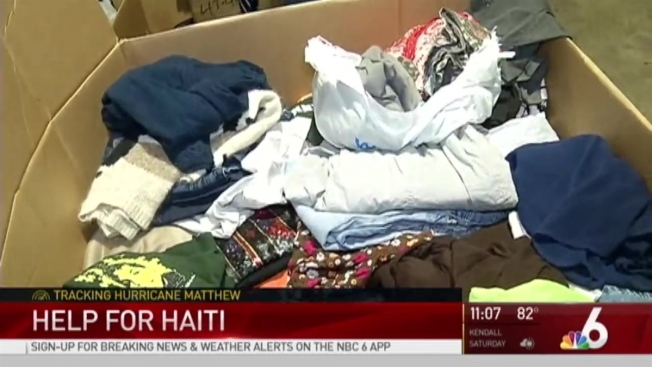 At Notre Dame D'Haiti in Miami's Little Haiti neighborhood, donations like bulk food and cash are now being accepted at the church to help. 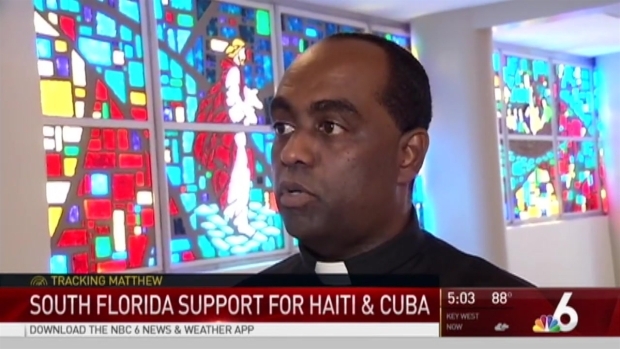 And Father Reginald Jean-Marie is coordinating these relief efforts on behalf of the Archdiocese of Miami. "We are not talking about hundreds of people; we are taking about thousands of people," Jean-Marie said. "They are tired, they are broken, they are in need." At a warehouse in Miami Gardens, volunteers worked for 12 hours Friday collecting donations. "You're giving back and doing something good for your people of your country," said Wanda Tima. Workers said they will be collection donations from 9 a.m. to 9 p.m. Saturday at the warehouse at 3333Northwest 168th Street. Workers from the International Organization of Migration and other groups were going through impacted area to assess the damage and provide assistance, though their efforts were hampered by damaged roads, rough terrain and other factors. More bodies began to appear Thursday as waters receded in some places two days after Matthew's 145 mph winds smashed concrete walls, flattened palm trees and tore roofs off homes, forcing thousands of Haitians to flee. On the way to the church, the wind took them,'' Ais said.